Second place: Albakiara Bianca Natale - we appreciated this attempt to broken "miss beauty canons" and the consideration of our actual cover girl look. By the way, this contest is more general and this sim wears really a huge number of piercing... so she takes the second place. 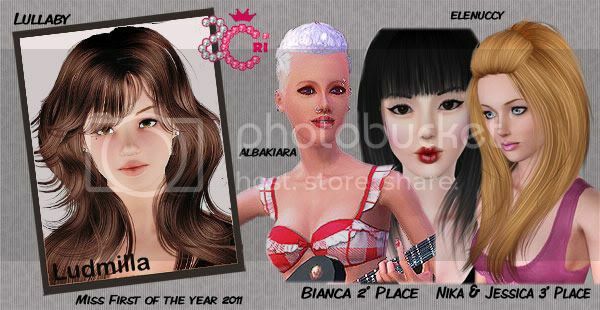 First place: after a duel with Bianca Natale by Albakiara, the winner is Ludmilla by Lullaby! You can give a look at all contenders HERE on forum. Thank you to all, and see you soon with a new contest!